[imText1]Washington D.C. — Donald Kirk, a former journalist based in Tokyo with the Chicago Tribune and the author of two books on Korean economy and business, “Korean Dynasty: Hyundai and Chung Ju Yung” and “Korean Crisis: Unraveling of the Miracle in the IMF Era,” gave a talk titled “At the Hub of Asia: Confronting South Korea’s Future under President-elect Lee” at the Paul H. Nitze School of Advanced International Studies on the 17th. 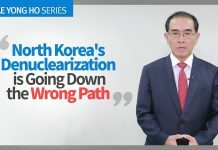 On the eve of the beginning of President Lee Myung Bak term in office, Kirk addressed sweeping issues such as South Korea’s economic outlook and improvements in infrastructure to the future of North-South Korea relations. “Lee Myung Bak also said he wanted to do away with the Unification Ministry. This is a very bold move. The Ministry is at the heart of SK’s relations with NK. It approves all political, cultural, and social trips from South to North Korea and has been a target of criticisms by conservatives. It has been responsible for all kinds of negotiations at different levels with NK. To do away with the Ministry would undercut a lot of these moves,” Kirk expressed. 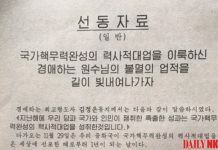 “My guess is that the Foreign Ministry [Ministry of Foreign Affairs and Trade], which is physically next door, will go on functioning [as the Unification Ministry] without the name of the Ministry of Unification,” said Kirk. The Sejong Society of Washington, D.C., an organization devoted to public education regarding U.S. and Korea-related policy issues, sponsored the event.